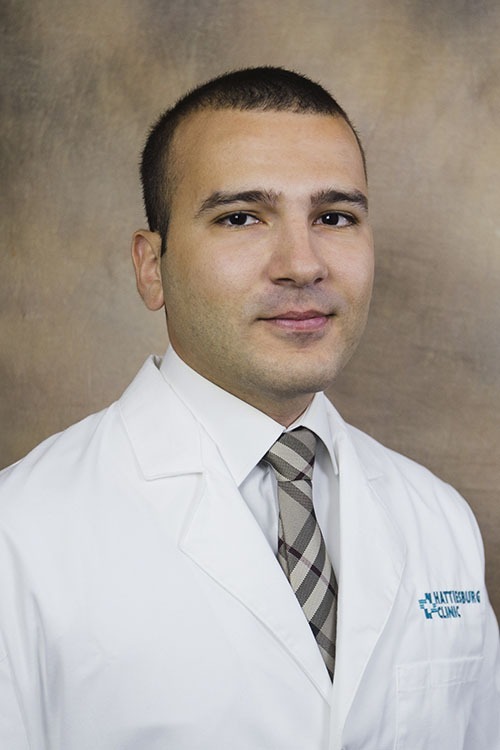 Khalid H. Jumean, MD, is a hospitalist at Hattiesburg Clinic Hospital Care Service. Dr. Jumean received his medical degree from Hashemite University Faculty of Medicine in Jordan. He completed an internal medicine internship at Seton Hall University School of Health and Medical Sciences at St Michael’s Medical Center in Newark, N.J. He also completed his residency in internal medicine at New York Medical College at St Michael’s Medical Center in Newark, N.J.
Dr. Jumean is board certified in internal medicine by the American Board of Internal Medicine. He is a member of the American Medical Association and American College of Physicians and has special practice interests in perioperative medicine and acute care medicine. During his residency, he co-authored multiple case reports and literature reviews. At Hospital Care Service, Dr. Jumean provides comprehensive care to hospitalized patients, with a focus on evidence-based care supported by the latest in medical research. “It was my childhood goal to help people in any way I can. As I grew older, medicine really intrigued me. My extreme desire in wanting to learn more about the human body and the desire of helping others culminated in me wanting to pursue medicine as a profession. What I enjoy about working in health care is the satisfaction that I get from serving people and seeing them get better.